Working on a project means working in a team. When different personalities and work styles come together, it is inevitable that disagreements arise. However, if you want to reach your project goals and deliver valuables to the firm, it is vital that the team gets over these issues and works together efficiently. There are many reasons why teams fail. Some problems are caused by external, uncontrollable forces, but other problems arise because of conflicts and misunderstandings between the team members. 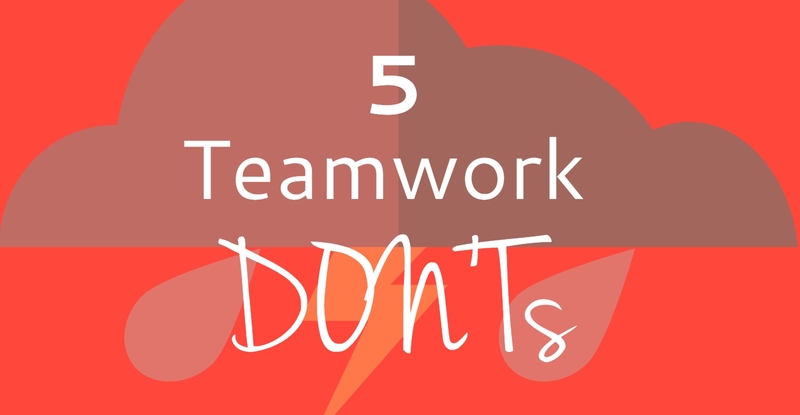 We have compiled 5 teamwork DON’Ts, i.e. things you should NOT do when working in a team. If team members avoid making these mistakes, they work together better and increase the success rate of their projects. [INFOGRAPHIC] Project Teams Need to Avoid These 5 Teamwork Don’ts - InLoox • Copyright 1999-2019 © InLoox, Inc. All rights reserved.